Throughout the centuries, so many traditions have woven themselves into the celebration of Christmas that it's difficult to understand just what the season of Christ's birth is all about. 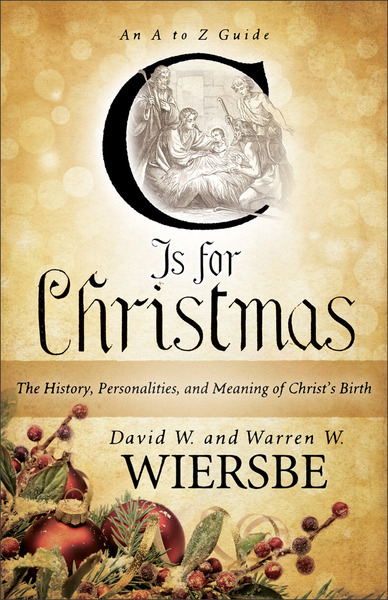 Now beloved writer Warren W. Wiersbe and his son, fellow pastor David W. Wiersbe give adults their very own A to Z Christmas primer, cutting through the wrapping paper and pretty bows to expose and explain the backgrounds and reasons for our various symbols and traditions. From angels and Bethlehem to yuletide and Zechariah, the information in this unique collection is sure to enlighten. Anyone who wants to have a deeper understanding of Christmas will love this insightful resource.